Beatles fans are in for a treat next month, as a very special piece of memorabilia goes under the hammer when Paul McCartney is awarded Person Of The Year by MusiCares. Rock Paper Photo, the largest online gallery of pop culture, fine art photography and Tom Murray, renowned Beatle’s photographer have joined together to donate one of Murray’s highly sought after Beatles prints for the GRAMMY-affiliated MusiCares 22nd annual benefit gala on Friday, February 10, 2012 at the Los Angeles Convention Center. The gala will recognize 14-time GRAMMY winner, Paul McCartney, for his creative accomplishments and charitable work and award him as the 2012 MusiCares Person of the Year. To mark the occasion, Murray created a one-of-one, 30 × 40 profile print of the legendary Beattle that will be featured during the gala’s silent auction. 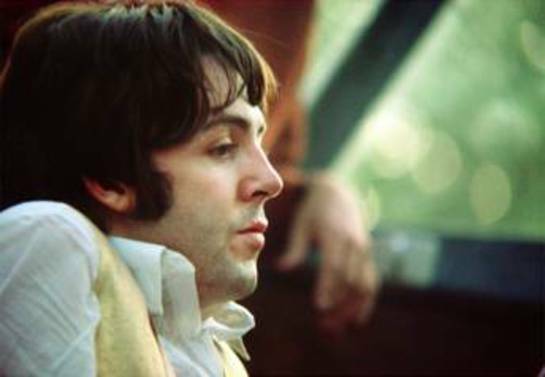 The print is normally available in a 20 × 24 size and is part of The Mad Day Collection: Summer Of ‘68, which includes Murray’s photographs from the Beatles final group publicity shoot during the summer of 1968. From two rolls of film, Murray kept 23 negatives which are considered the most important color photographs of the group from that period of their career. The photos were revealed to the public for the first time in 1996 and have since been exhibited in cities across the US and Europe, including New York, Los Angeles, Paris, London and Stockholm. Through auctioning or donating his Beatles prints for charities, Murray has raised nearly $7 million for charities worldwide. 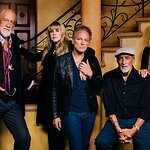 All proceeds from the MusiCares silent auction will benefit the MusiCares Foundation, which helps provide critical assistance for music people in times of need. The MusiCares Annual Benefit Gala is one of the most prestigious events to be held during GRAMMY Week and the celebration culminates with the 54th annual GRAMMY Awards on Sunday, February 12, 2012. Rock Paper Photo is participating in this event in partnership with Waste Management.